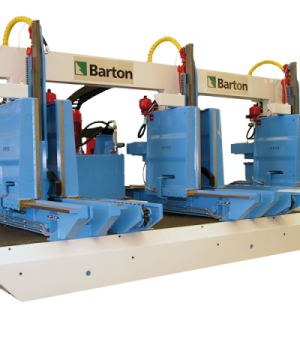 Barton develops automatic equipment for the application of diverse wood chemical treatments. From dip tanks to performance preventive treatments (basically fungicide protectors for the preventive treatment of unseasoned wood on sawmill against blue stain fungus) or preservative (norm class 2) to impregnation autoclaves for the application of preservative treatments (norm class 3 – 4), following complex cycles vacuum – pressure. 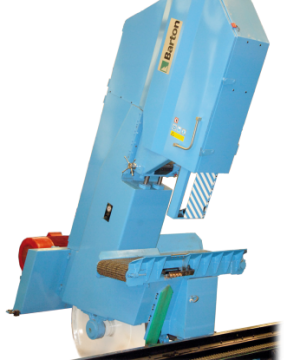 In this process, the wood is dipped using an hydraulic lifting device. 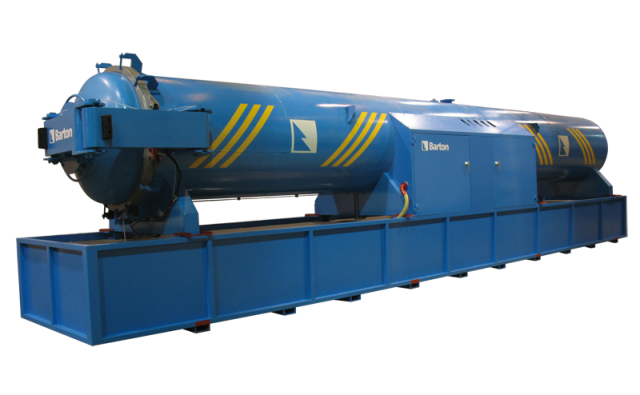 The dip tanks are characterized by double tank construction; PLC for the control of the treatment cycle; water tight cover; automatic mixing device; tilting platform to remove the unabsorbed product; pneumatic upper arms and anticorrosive paint.Autoclaves can be built in different diameters and lengths, according to your needs. 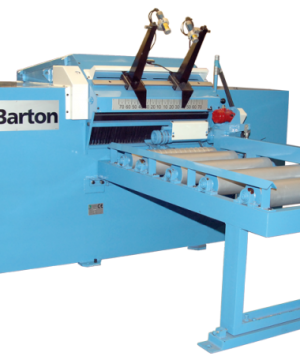 Autoclaves can follow different vacuum – pressure cycles depending on the preservative and the final destination of the wood. Initially, timber is brought under vacuum and subsequently under pressure, which results in a deep penetration of the liquid. Dip tanks for the chemical treatment of wood by dipping. Autoclaves for the chemical treatment of wood by impregnation, following vacuum – pressure cycles. Presă pentru laminare PAL, MDF, placaj, etc. © 2017 - DAV Global Trading | Toate drepturile rezervate.